If you need a locksmith DC Union Station, why not call the best? King Locksmiths is the premier locksmith company serving the DC area. At King Locksmiths our well-trained, dependable technicians are ready to handle all your commercial, residential or automotive locksmith and security needs. Businesses can rest assured knowing we’re on the job. Our Union Station Locksmith Team provides a range of commercial products and services such as high-security locks, panic hardware and access and cutting-edge security products to keep your business safe and secure. Need a master key, re-key or door repair? We do that too! Residents looking for a dependable locksmith in DC Union Station area need look no further. King Locksmiths carry top home security brands and handle lock installation on entry and garage doors, home lockouts, keyless entry and more! King Locksmiths also carries the latest tools and technology to handle car lockouts, make or copy transponder keys and perform key extraction. We provide full service mobile automotive locksmith services! Our Union Station Locksmith Team provides excellent service at a sensible price. Every technician on our team has several years experience and we are bonded and insured. King Locksmiths is available for emergencies 24 hours a day 7 days a week with friendly and professional customer service. This Union Station locksmith believes in maintaining the highest caliber service and strives for 100 percent customer satisfaction. From the time you call us for a quote or to schedule service to the time we complete the job, you will notice the difference! Remember, the best professional locksmith in DC Union Station for all your commercial, residential and vehicle needs is King Locksmiths. 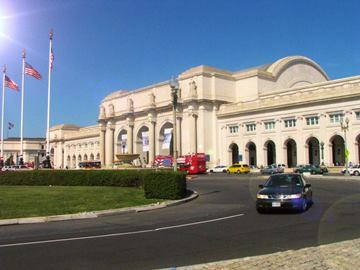 Locksmith DC Union Station Services with King Locksmiths https://kinglocksmiths.com/locksmith-dc-union-station/ Sorry, this page does not have any ratings yet.